Easy to put together and serve. 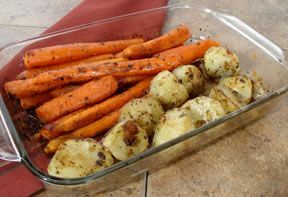 Place all vegetables in prepared baking dish and season to taste. Place cut up chicken parts on top of vegetables and pour broth over the top. Sprinkle chicken with paprika. 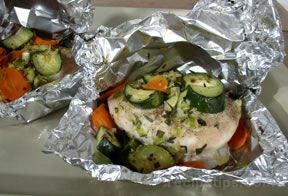 Cover tightly with aluminum foil and bake 1½ hours. Remove foil during the last 3 minutes of baking. Any of your favorite vegetables in any amount will work with this recipe. "I have made this several times but last night I added some cauliflower with the other vegetables. The cauliflower turned out great. Sometime I am going to try sweet potatoes. Great recipe!" "I put this together on my lunch hour since I am having last minute guests for supper. I hope it tastes good! It was SO easy to put together! I'm serving it with dinner rolls and a salad." "Be sure your vegetables are all the same size pieces. My potatoes weren't done but my carrots were. 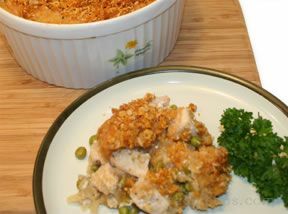 I also used boneless, skinless chicken because it's easier with the kids." "Love this recipe because when it is done everything for the meal is ready . . . meat, potatoes, and vegetables. I also bake it uncovered at the end so the chicken browns a little. I added extra drumsticks for the kids." "Good weeknight meal. It doesn't take too long to put together and you can get a few things done while it is baking. The chicken was moist and the veggies were tasty. I added a little more vegetables and left the skin on the chicken for more flavor. 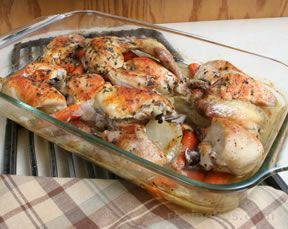 I baked it uncovered for about 10 minutes at the end so chicken would brown a little more."